This week, Ailsa‘s photo challenge theme is Fabric. When travelling, obviously I always look at how people dress. And in particular women, that gender that usually dreams to be elegant and so often is constrained. This topic is of particular interest in Uzbekistan, a country that cumulates a heritage which is Islamic (where typically women have to dress modestly) and Sovietic (where typically women are equal to men). 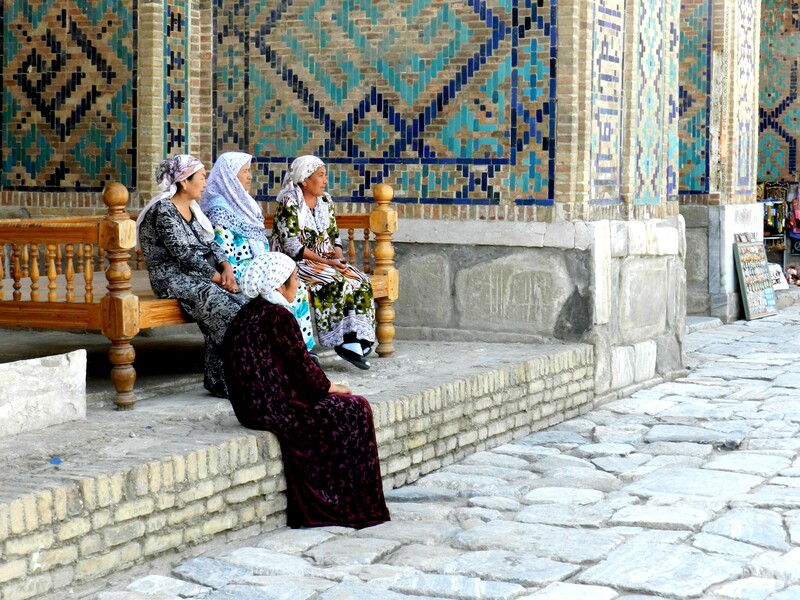 Samarkand’s main madrasa, August 2012. An additional, yet important constraint to dress code in Uzbekistan, is dictated by the weather conditions: very hot in summer, very cold in winter.